The First year students finished up the last week of classes with a variety of activities. Rhea Beto discusses in-house design with students. Monday (04.29) Ryan Pitcher brought his Spanish class to the Career Academy to translate for the Graphic Design students as they repurposed their Festival of Short Plays poster from English to Spanish. 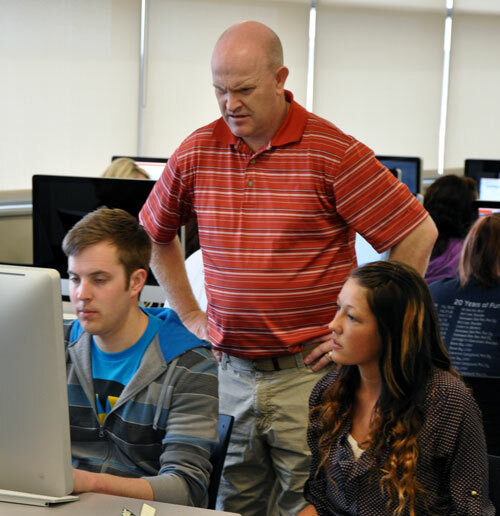 Ryan Pitcher helps design and spanish students with translation. Tuseday (04.30) Arts Quest—First year students supported the Arts Quest Campus Crawl by participating tie-dye, enameling and raku. 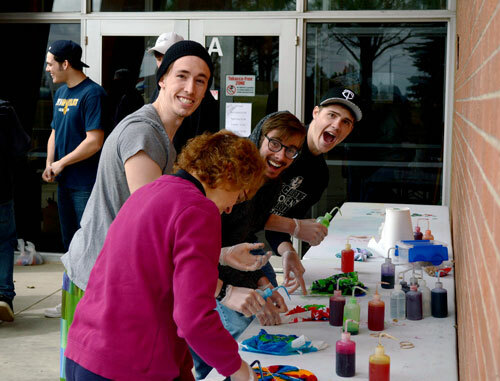 (L to R) Blaze, Caleb, Jacob and Jared take part in tie-dying. 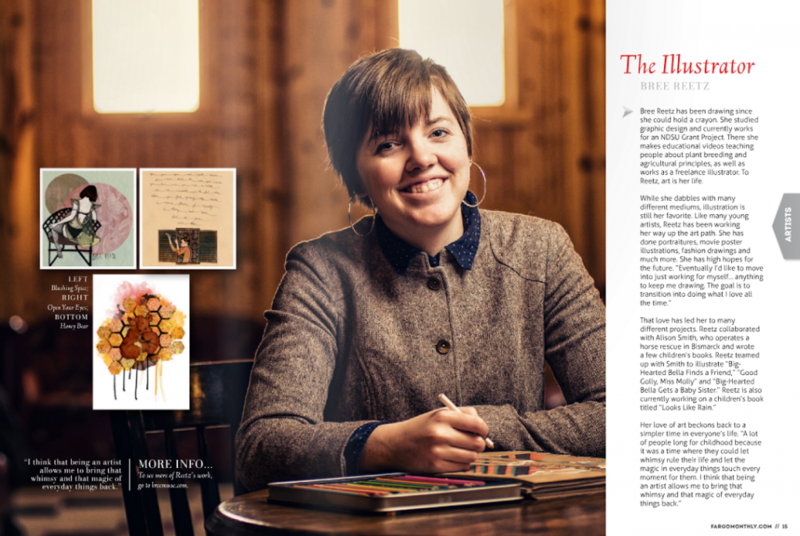 Congratulations to Bree Reetz (Malignen) who is featured in this month’s issue of Fargo Monthly. Reetz is listed among the visual artists ‘who are making Fargo beautiful’ in the May artist issue. Reetz, a 2010 graduate of the Graphic Design and Communications Program, is currently employed by NDSU as a graphic designer and animator. Click here to read the entire article.